It’s always a good morning when there is granola involved, don’t you think? 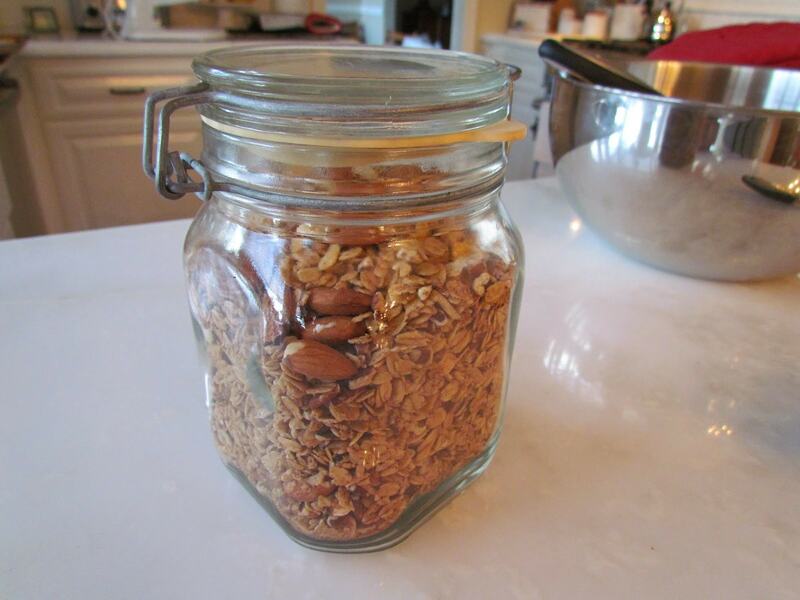 I’ve been wanting to share my granola recipe for awhile. 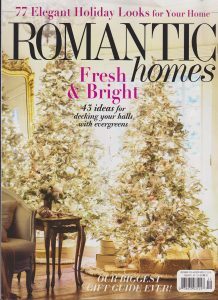 It’s something I tweaked and perfected and have been making for a few years now. 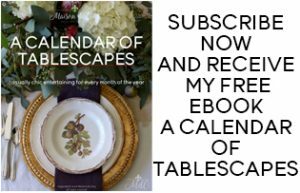 I usually make it during the holidays and give it as gifts and many of those friends have asked me to share the recipe. I am a true granola fanatic. I eat it almost everyday and bought it for many years before I finally decided to try making it. Much to my surprise, it was super easy and considering how expensive quality store granola is, I’m glad I switched. The great thing about it is how versatile it is. For instance, I use almonds and pecans for my nuts, but if you prefer peanuts and walnuts, use those. Or you could do cashews, or pistachios. I sometimes add figs and dried cherries, but you don’t have to. Or you could add raisins and apricots… you get the picture. 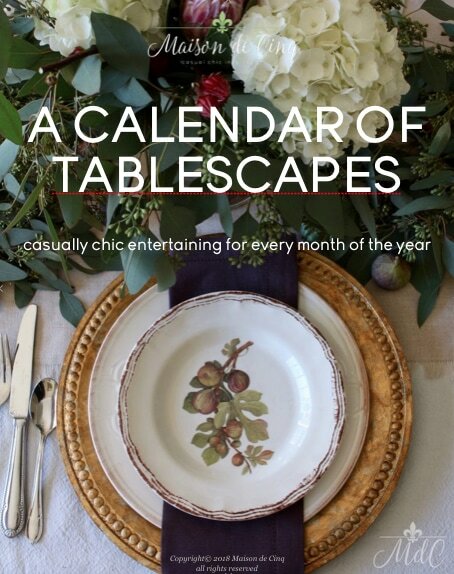 Tailor it to your own taste. 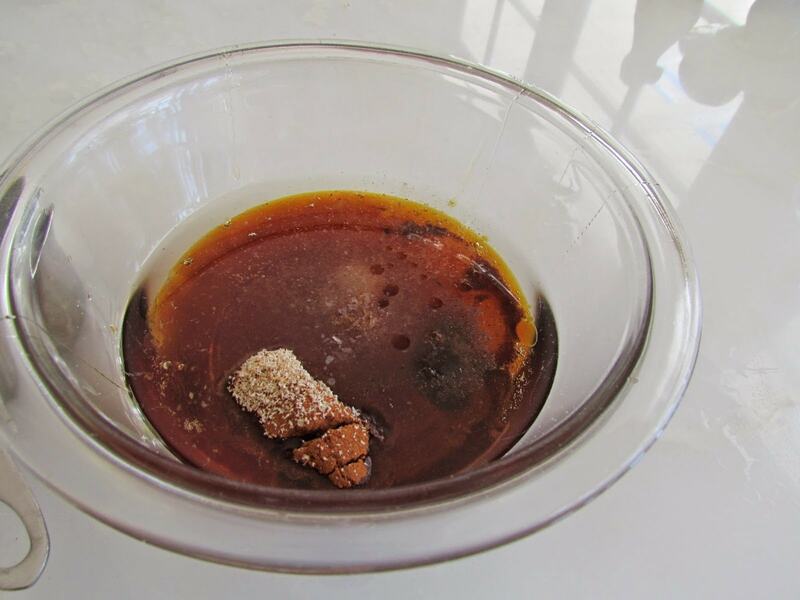 I started with one recipe a few years back and cut the oil and sugars in half and added the spices as the original didn’t have any at all, nor any salt. But if you want it sweeter or even less sweet, change that too. I usually eat it with greek yogurt with a little honey and fruit for breakfast, but it’s equally good with a bowl of milk. And of course, eaten out of hand it can’t be beat. Makes a great late night snack too! Preheat oven to 325 degrees. 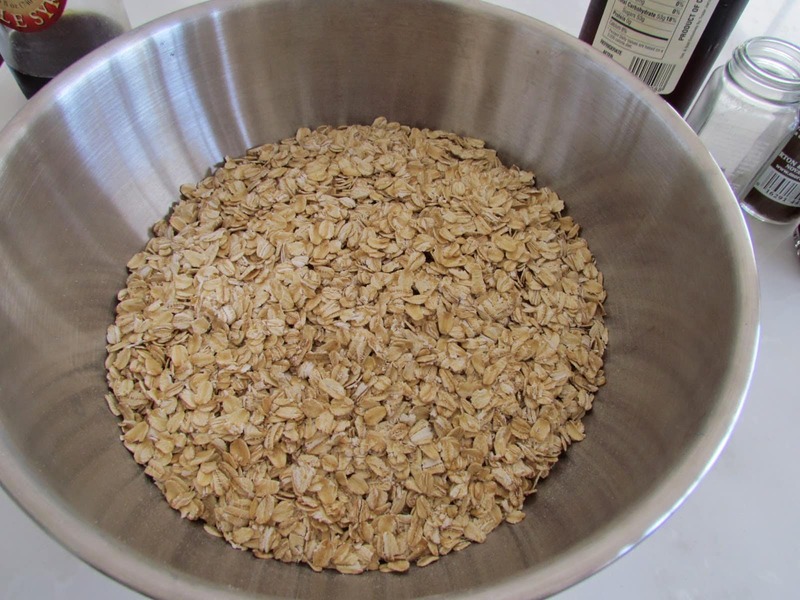 Place oats in a large bowl. Whisk together next 7 ingredients in a small bowl until thoroughly blended. 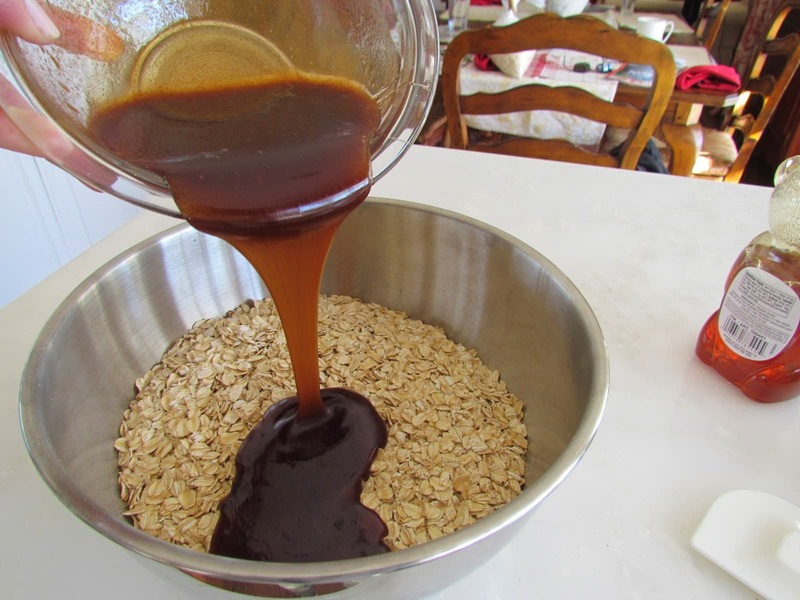 Pour liquid mixture over oats and stir together until oats are completely coated in honey/oil mixture. 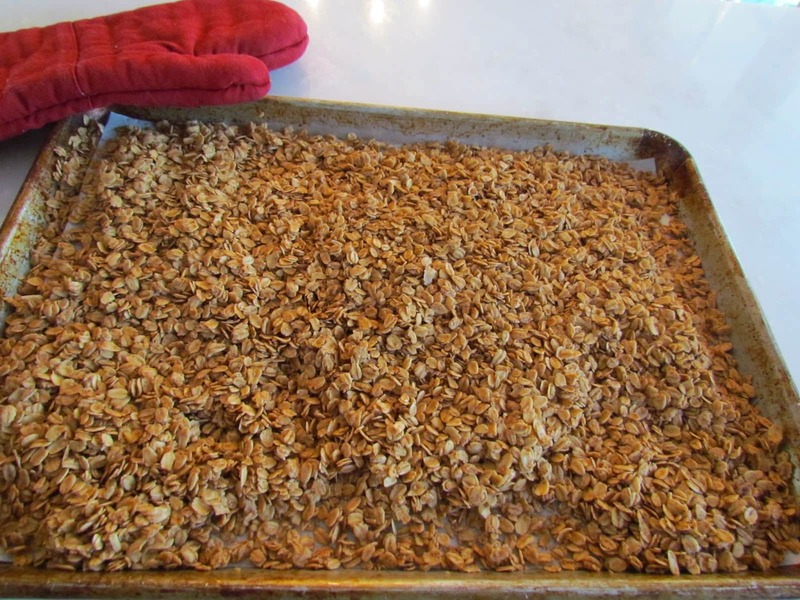 Spread the granola in an even layer on a 13 x 18 baking sheet pan (I cover it in parchment paper just to make sure it doesn’t stick and make clean up easier). 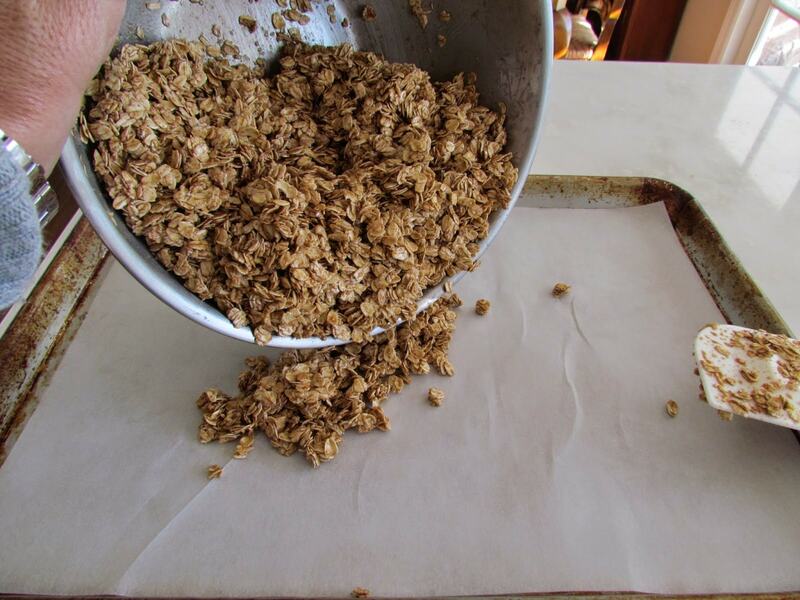 Bake for 25-30 minutes depending on how toasted you like your granola, turning once about halfway through. Let cool. Add nuts and dried fruits, if desired. Transfer to an airtight container. Keeps in the cabinet for a week or more. Begin deliciousness!